Bruno Bauer (German: [baʊɐ]; 6 September 1809 – 13 April 1882) was a German philosopher and historian. As a student of G. W. F. Hegel, Bauer was a radical Rationalist in philosophy, politics and Biblical criticism. Bauer investigated the sources of the New Testament and, beginning with Hegel's Hellenophile orientation, concluded that early Christianity owed more to ancient Greek philosophy (Stoicism) than to Judaism. Bruno Bauer is also known by his association and sharp break with Karl Marx and Friedrich Engels, and by his later association with Max Stirner and Friedrich Nietzsche. Starting in 1840, he began a series of works arguing that Jesus was a 2nd-century fusion of Jewish, Greek, and Roman theology. Bauer was the son of a painter in a porcelain factory and his wife at Eisenberg in Saxe-Altenburg. He studied at the Friedrich Wilhelm University in Berlin from spring 1828 to spring 1832. He became associated with the so-called Right Hegelians under Philip Marheineke, who engaged Bauer years later to edit the second edition of Hegel's Lectures on the Philosophy of Religion 1818–1832. This was to become one of Bauer's best-known works—a three-volume, critical edition. In 1834 he began to teach in Berlin as a licentiate of theology, and in 1839 was transferred to the University of Bonn. In 1838 he published his Kritische Darstellung der Religion des Alten Testaments (Critical Exhibition of the Religion of the Old Testament) in two volumes. This work showed Bauer was faithful to the Hegelian Rationalist theology that interpreted all miracles in Naturalistic terms. Consistent with his Hegelian Rationalism, Bauer continued in 1840 with, Kritik der evangelischen Geschichte des Johannes (Critique of the Evangelical History of John). In 1841 Bauer continued his Rationalist theme with, Kritik der evangelischen Geschichte der Synoptiker (Critique of the Evangelical History of the Synoptics). At no time in his writing was Bauer ever an orthodox Christian. From his earliest days of academic scholarship under Hegel, Bauer maintained a firm criticism of Immanuel Kant and a firm fealty to both Hegel's dialectic and his Rationalist Theology. Accused of being a so-called "Right Hegelian" (cf. David Strauss, In Defense of My 'Life of Jesus' Against the Hegelians, 1838), he was later accused of being a "Left Hegelian" because of his association, or rather his early leadership, of the Young Hegelians. Yet the labels of 'Left' and 'Right' were only placed on Bruno Bauer by others; never by himself. Bauer considered himself simply a Hegelian. From 1839 to 1841, Bauer was a teacher, mentor and close friend of Karl Marx, but in 1841 they came to a break. Marx, with Friedrich Engels, had formulated a socialist and communistic programme that Bruno Bauer firmly rejected. Marx and Engels in turn expressed their break with Bauer in two books: The Holy Family (1845) and The German Ideology (1846). The Prussian Minister of Education, Altenstein, sent Bauer to the University of Bonn, to protect his Rationalist Theology from the critique of the Berlin orthodox, as well as to win over Bonn University to Hegelianism. Bauer, however, created many enemies at pietist-dominated Bonn university, where he openly taught Rationalism in his new position as professor of theology. Bauer attested in letters during this time that he tried to provoke a scandal, to force the government either to give complete freedom of science and teaching to its university professors, or to openly express its anti-enlightenment position by removing him from his post. The pro-Hegelian minister Altenstein had died and been replaced by the anti-Hegelian Eichhorn. The government officials asked for advice from the theology departments of its universities. Except for the Hegelian Marheineke, most said that a professor of Protestant theology should not be allowed to teach "atheism" to his student priests. As Bauer was unwilling to compromise his Rationalism, the Prussian government in 1842 revoked his teaching license. After the setbacks of the revolutions of 1848, Bauer left the city. He lived an ascetic and stoic life in the countryside of Rixdorf near Berlin. Bauer continued to write, including more than nine theological tomes, in twelve lengthy volumes. His lengthy volumes varied between theology, modern history and politics. He published them at his own expense while working at his family's tobacco shop. Between 1843 and 1845 Bauer published Geschichte der Politik, Kultur und Aufklärung des 18ten Jahrhunderts (History of Politics, Culture and Enlightenment in the 18th Century, in 4 volumes). In 1847 Bauer published Geschichte der französischen Revolution (History of the French Revolution, in 3 volumes). Between 1850 and 1852 Bauer published Kritik der Evangelien und Geschichte ihres Ursprungs (A Critique of the Gospels and a History of their Origin), as well as Kritik der paulinischen Briefe (Critique of the Pauline Epistles). In these works Bauer led the academic movement to subject the Bible to historical and literary criticism. In 1877 Bauer published Christus und die Caesaren (Christ and the Caesars), and in 1882 he published Disraelis romantischer und Bismarcks socialistischer Imperialismus (Disraeli's Romantic and Bismarck's Socialist Imperialism). Bauer's final book on theology, Christ and the Caesars (1877), was his crowning effort to justify Hegel's position that Christian theology owed at least as much to Greco-Roman classical philosophy as it owed to Judaism. Bruno Bauer died at Rixdorf in 1882. His younger brother, Edgar, was a German left-wing journalist who had supported his brother's fights and was sent to prison for his political positions. He later became a police spy in London for the Danish government, reporting about Karl Marx, among others. Shortly after the death of Hegel, another writer, David Strauss, who had been a reader of Hegel's writings, arrived in Berlin (1831). As a student of Friedrich Schleiermacher he wrote a controversial book which is now famous, entitled, The Life of Jesus Critically Examined, usually referred to as The Life of Jesus (1835). In this book David Strauss announced his own landmark theory of 'demythologization' as an approach to the Gospels, but he also attempted to use Hegel's name and fame in his book as a marketing ploy. In the year of its publication, Strauss' book raised a storm of controversy. The Prussian king Friedrich Wilhelm IV tightened control of the Prussian University system, favoring his ultra-conservative approach to the Bible. He objected to the writing of David Strauss, and he also mistakenly believed that the Hegelian school in general was its source. Bauer, at 26 years of age, was chosen by the Hegelians to refute David Strauss in the Hegelian Journal für wissenschaftliche Kritik (Journal of Philosophical Criticism). Bauer ably showed that Strauss misrepresented Hegel, and that Strauss' position differed significantly from Hegel's. Bauer also demonstrated that David Strauss' so-called dialectic was taken from Schleiermacher (who had been antagonistic toward Hegel). Although Strauss' book had sold well throughout Europe, in 1838 Strauss published a rebuttal to Bruno Bauer in a booklet entitled, In Defense of my Life of Jesus against the Hegelians. In that book Strauss admitted publicly that his position had not been inspired by Hegel's philosophy after all, nor by Hegel's theological position (which advocated a dialectical Trinity). Strauss divorced himself from the Hegelians with this booklet, and never joined their ranks again. However, in this final exchange with the Hegelians, he criticised the Hegelian school in a way that has become unforgettable. In that booklet David Strauss invented terms still in use today: a Right Hegelian would uncritically defend all positions of orthodox Christian theology, he said, while a Left Hegelian takes a liberal and progressive approach to Scripture. A "Centrist Hegelian" would take the middle road and try to honor both: whatever was rational in theological thinking as well as free scientific thought. The Prussian monarch, objecting to these debates, banned many Hegelians from teaching in Universities, including Bruno Bauer. For the rest of his life, Bauer continued to be bitter towards Strauss. When Bauer was middle-aged, a youthful Friedrich Nietzsche came to visit him, seeking advice from a well-known author. Bauer encouraged Nietzsche to criticize Strauss, and in that early period, that is what young Nietzsche did. Nietzsche in turn mentions later that Bauer was "my entire reading public". Bauer wrote criticism of the New Testament. David Strauss, in his Life of Jesus, had accounted for the Gospel narratives as half-conscious products of the mythic instinct in the early Christian communities. Bauer ridiculed Strauss's notion that a community could produce a connected narrative. Rather, only a single writer could be responsible for the first Gospel. His own contention, embodying a theory of Christian Gottlob Wilke (Der Urevangelist, 1838), was that the original narrative was the Gospel of Mark. For Bauer, the Gospel of Mark was completed in the reign (117–138) of Hadrian (where its prototype, the 'Ur-Marcus,' identifiable within the Gospel of Mark by a critical analysis, was begun around the time of Josephus and the Roman–Jewish Wars). Bauer, like other advocates of this 'Marcan Hypothesis', affirmed that all the other Gospel narratives used the Gospel of Mark as their model within their writing communities. In 1906 Albert Schweitzer wrote that Bauer "originally sought to defend the honor of Jesus by rescuing his reputation from the inane parody of a biography that the Christian apologists had forged." However, he eventually came to the belief that it was a complete fiction and "regarded the Gospel of Mark not only as the first narrator, but even as the creator of the gospel history, thus making the latter a fiction and Christianity the invention of a single original evangelist" (Otto Pfleiderer). Although Bauer did investigate the 'Ur-Marcus', it was his remarks on the current version of the Gospel of Mark that captured popular attention. In particular, some key themes in the Gospel of Mark appeared to be literary. The Messianic Secret theme, in which Jesus continually performed wonders and then continually told the viewers not to tell anybody that he did this, seemed to Bauer to be an example of fiction. If the Messianic Secret is a fiction, Bauer wrote, then the redactor who added that theme was probably the final redactor of our current version of the Gospel of Mark. In 1901, Wilhelm Wrede would make his lasting fame by repeating many of Bauer's ideas in his book, The Messianic Secret. Also, for some influential theologians in the Tübingen School, several Pauline epistles were regarded as forgeries of the 2nd century. Bauer radicalised that position by suggesting that all Pauline epistles were forgeries, written in the West in antagonism to the Paul of The Acts. Bauer observed a preponderance of the Greco-Roman element, over and above the Jewish element, in Christian writings, and he added a wealth of historical background to support his theory; though modern scholars such as E. P. Sanders and John P. Meier have disputed this theory and attempted to demonstrate a mainly Jewish historical background. Other authors, such as Rudolf Bultmann, tended to agree that a Greco-Roman element was dominant. According to Bauer, the writer of Mark's gospel was "an Italian, at home both in Rome and Alexandria"; that of Matthew's gospel "a Roman, nourished by the spirit of Seneca"; Christianity is essentially "Stoicism triumphant in a Jewish garb." What Bauer added was a deep review of European literature in the 1st century. In his estimation, many key themes of the New Testament, especially those that are opposed to themes in the Old Testament, can be found with relative ease in Greco-Roman literature that flourished during the 1st century. Such a position was also maintained by some Jewish scholars. Bauer's final book, Christ and the Caesars (1877) offers a penetrating analysis that shows common key-words in the words of 1st-century writers like Seneca the Stoic and New Testament texts. While this had been perceived even in ancient times, the ancient explanation was that Seneca 'must have been' a secret Christian. Bauer was perhaps the first to attempt to carefully demonstrate that some New Testament writers freely borrowed from Seneca the Stoic. One modern explanation is that common cultures share common thought-forms and common patterns of speech; that similarities do not necessarily indicate borrowing. In Christ and the Caesars, Bauer argued that Judaism entered Rome during the era of the Maccabees, and increased in population and influence in Rome since that time. He cited literature from the 1st century to strengthen his case that Jewish influence in Rome was far greater than historians had yet reported. The Imperial throne was influenced by the Jewish religious genius, he said, citing Herod's relation with the Caesar family, as well as the famous relationship between Josephus and the Flavians, Vespasian and Titus, and also one of the poems of Horace. According to Bauer, Julius Caesar sought to interpret his own life as an Oriental miracle story, and Augustus Caesar completed that job by commissioning Virgil to write his Aeneid, making Caesar into the Son of Venus and a relative of the Trojans, thereby justifying the Roman conquest of Greece and insinuating Rome into a much older history. By contrast, said Bauer, Vespasian was far more fortunate, since he had Josephus himself to link his reign with an Oriental miracle. Josephus had prophesied that Vespasian would become Emperor of Rome and thus ruler of the world. This actually happened, and in this way the Roman conquest of Judea was justified and insinuated Rome into an even older history. According to Albert Schweitzer, Bauer's criticisms of the New Testament provided the most interesting questions about the historical Jesus that he had seen. Judging by the second-to-last chapter of his Quest, Schweitzer's own theology was partly based on Bauer's writings. The title of that chapter is "Thoroughgoing Skepticism and Eschatology". In that chapter Schweitzer clashes head-on with Wilhelm Wrede, who had recently (in 1905) proposed the theory of a Messianic Secret. Wrede's theory claimed that Jesus' continual commands to his followers to "say nothing to anybody" after each miracle was performed could only be explained as a literary invention of this Gospel writer. (That is, Wrede was the thoroughgoing skeptic, and Schweitzer was the thoroughgoing eschatologist.) Schweitzer began by showing that Wrede had merely copied this idea from Bruno Bauer. Then Schweizter listed another forty brilliant criticisms from Bauer (pp. 334–335) some of which he disagreed with (such as the so-called Messianic Secret) and some of which he considered indispensable for any modern theology of the Gospel. This line of criticism has value in emphasizing the importance of studying the influence of environment in the formation of the Christian Scriptures. Bauer was a man of restless creativity, interdisciplinary activity and independent judgment. Many reviewers have charged that Bauer's judgment was ill-balanced, Due to the controversial nature of his work as a social theorist, theologian and historian, Bauer was banned from public teaching by a Prussian monarch. After many years of similar censorship, Bauer came to resign himself to his place as a free-lance critic, rather than as an official teacher. Douglas Moggach published The Philosophy and Politics of Bruno Bauer in 2003. This is the most comprehensive overview of Bauer's life and works, in English to date. Bauer's biography has obtained more kindly reviews these days, even by opponents. In his own day, his opponents often respected him, since he was not afraid of taking a line on principle. One point that is often raised in this regard is his line that was displeasing to his liberal friends on the Jewish question (Die Judenfrage, 1843). Bauers later article "Jews abroad" (Das Judentum in der Fremde) in "Staats- und Gesellschaftslexicon" was even more radical and extensive, mixing arguments of racism, religion and "voelkisch" ideology. The topic of Bauer's personal religious views or lack thereof is a continuing debate in contemporary scholarship about Bauer. One modern writer, Paul Trejo (2002), has made the case that Bauer remained a radical theologian who criticized specific types of Christianity, and that Bauer maintained a Hegelian interpretation of Christianity throughout his life. According to Trejo, Bauer's book, Christianity Exposed (1843), was very mild, only setting one sect of Christian against another. Further, opined Trejo, Bauer's Trumpet of the Last Judgment against Hegel the Atheist and Antichrist was a comedy – actually a prank – in which Bauer pretended to be a right-wing cleric who was attacking Hegel. When many right-wing readers publicly praised the book, Bauer revealed himself as the actual author and had a good laugh. The Trumpet, written by Bauer and published anonymously, was of inspiration to Gianfranco Sanguinetti, for his 1975 pamphlet Veritable Report on the Last Chances to Save Capitalism in Italy, a Situationist prank which caused him to leave Italy under the force of political pressure. Beginning in 1848, critics accused Bauer of promoting a virulent antisemitism in print within reactionary circles. Bauer's view of Jews and Judaism is considered by some to have been absolutely negative, both when considering the past and when contemplating the present. In 1843, Bauer wrote The Jewish Question, which was responded to in a pamphlet written by Karl Marx, entitled, "On the Jewish Question". According to Marx, Bauer argued that the Jews were responsible for their own misfortunes in European society since they had "made their nest in the pores and interstices of bourgeois society". Jacob Katz contextualizes Bauer's antisemitism with his passionate anti-Christianity, the latter of which caused Bauer to lose his professorship. Although, according to Katz, Bauer was "equally impatient with Christianity and Judaism", Bauer would frequently diverge from a review or opinion piece on a Jewish writer or thinker into a general consideration of "the Jew as a type", grasping at whatever negative characteristics he could find. The first English-language rendering of Bruno Bauer's career was published in March, 2003 by Douglas Moggach, a professor at the University of Ottawa. His book is entitled, The Philosophy and Politics of Bruno Bauer. Professor Moggach develops a republican interpretation of Bruno Bauer, in which Bauer is portrayed as reaching atheist conclusions because of his political commitments to free self-consciousness and autonomy, and his criticisms of the Restoration union of church and state. Other scholars continue to dispute that portrait. Bauer's personality was complex. During his career and even after he died he was difficult to classify. The left-wing tried to define him as one of their own. The right-wing tried to define him as one of their own. He was praised by the right-Hegelians, and he was praised by the left-Hegelians. Bauer had studied directly under the German philosopher Friedrich Hegel. Hegel had awarded an academic prize to Bauer when Bauer was about 20 years old. 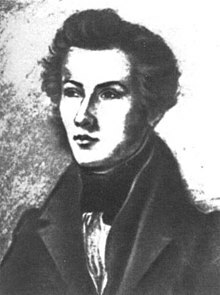 Hegel died when Bruno Bauer was 22 years old. Perhaps this affected Bauer's personality strongly; he may have seen himself as sitting very close to the highest academic post in Prussia and possibly he imagined that he would one day have that post. When Hegel unexpectedly died in 1831, possibly of cholera, Bruno Bauer's official connections were drastically reduced. Bauer had very few powerful friends during the academic fallout after Hegel's death. After the publication of his 'The Trumpet' (1841) he was considered as an important representative of the radicals. The struggle with David Strauss and especially with the Prussian monarchy had set Bruno Bauer back quite a bit. This also affected Bauer's personality. Bauer went underground and began to write Hegelian newspapers here and there. In this journey he met some socialists, including Karl Marx, his former student, and Marx' new friends, Friedrich Engels and Arnold Ruge. They were all left-wing radicals. Bauer was not a left-wing radical, but he was happy to be their leader if it could lead them back to a Hegelian understanding of the dialectic. Another member of those Young Hegelians, Max Stirner, became Bauer's lifelong friend. Although Bauer was not a radical egoist, he preferred the writings of Stirner to the writings of Marx, Engels and Ruge. Shortly after, Marx and Engels broke sharply with Bruno Bauer and attacked him specifically in a critique of one of his works, "On the Jewish Question" and in other books that were critical of various Young Hegelians including Bauer, The Holy Family, and The German Ideology. Bruno Bauer met with Marx again in London in the mid-1850s, while visiting his exiled brother Edgar there. According to Marx's correspondence with Engels, Bauer presented him with a copy of Hegel's Science of Logic. Marx referred to this volume while completing his drafts of 'Capital'. Bauer had already turned away from the socialism and communism of Marx and Engels, so he was immune to the barbs they wrote in The Holy Family or Critique of Critical Criticism. Against Bruno Bauer and Company by his pupils, Marx and Engels. Nevertheless, he had fallen quite far – from a favorite son of Hegel himself down to an enemy of both the right-wing and the left-wing as well. He found very few friends in this intellectual position aside from Max Stirner. According to some sources he contemplated suicide. [not in citation given] According to other sources, his enemies only wished that he contemplated suicide. Suppressed and condemned by both the right-wing and the left-wing, the once-influential Bruno Bauer finally settled into his family's tobacco shop to earn his living, though he continued to write. He never married, but he wrote books for the rest of his life. Bauer's scholarship was buried by German academia, and he remained a pariah, until Albert Kalthoff rescued his works from neglect and obscurity. Kalthoff revived Bauer's Christ Myth thesis in his Das Christus-Problem. Grundlinien zu einer Sozialtheologie (The Problem of Christ: Principles of a Social Theology, 1902) and Die Entstehung des Christentums, Neue Beiträge zum Christusproblem (The Rise of Christianity, 1904). Albert Schweitzer a historian of theology, who presented an important critical review of the history of the search for Jesus's life in Geschichte der Leben-Jesu-Forschung (The Quest of the Historical Jesus, 1906), highly praised Bauer's early work. Reading the prescient Bruno Bauer one has the eerie feeling that a century of New Testament scholarship may find itself ending up where it began. For instance, the work of Burton Mack, Vernon Robbins, and others makes a powerful case for understanding the gospels as Cynic-Stoic in tone.... Robert M. Fowler, Frank Kermode, and Randel Helms have demonstrated how thoroughly the gospels smack of fictional composition. Thus, from many directions, New Testament researchers seem to be converging uncannily on the theses that Bruno Bauer set forth over a century ago. Bauer became the first author to systematically argue that Jesus did not exist. Beginning in 1841, in his Criticism of the Gospel History of the Synoptics, Bauer argued that the Biblical Jesus was primarily a literary figure. However, he left open the question of whether a historical Jesus existed at all until his 1851 work, Criticism of the Gospels and History of their Origin and then in 1877 proposed his theory for the true origin of Jesus in Christ and the Caesars. Bauer's 1842 work, Kritik der evangelischen Geschichte der Synoptiker und des Johannes (3 vol) argued that the gospels were purely literary, with no historically authentic material. While not yet rejecting the historicity of Jesus, Bauer denied the historicity of a supernatural Christ (viz. Jesus—a natural human). Bauer wrote, "Everything that the historical Christ is, everything that is said of Him, everything that is known of Him, belongs to the world of imagination, that is, of the imagination of the Christian community, and therefore has nothing to do with any man who belongs to the real world." (see David Strauss (1808–1874) who pioneered the search for the "Historical Jesus" by also rejecting the supernatural events of "The Christ", in his 1835 work, Life of Jesus). In his Criticism of the Pauline Epistles (1850–1852) and in A Critique of the Gospels and a History of their Origin (1850–1851), Bauer argued that Jesus had not existed. Schweitzer notes, "At the end of his study of the Gospels, Bauer is inclined to make the decision of the question whether there ever was a historic Jesus depend on the result of a further investigation which he proposed to make into the Pauline Epistles. It was not until ten years later (1850–1851) that he accomplished this task, (Kritik der Paidinischen Briefe. (Criticism of the Pauline Epistles.) Berlin, 1850-1852.) and applied the result in his new edition of the "Criticism of the Gospel History." (Kritik der Evangelien und Geschichte ihres Ursprungs. (Criticism of the Gospels and History of their Origin.) 2 vols., Berlin, 1850-1851.) The result is negative: there never was any historical Jesus." In Christ and the Caesars (1877) he suggested that Christianity was a synthesis of the Stoicism of Seneca the Younger and of the Jewish theology of Philo as developed by pro-Roman Jews such as Josephus. Bauer's work was heavily criticized at the time; in 1839 he was removed from his position at the University of Bonn, and his work did not have much impact on future myth theorists. that the New Testament has no historical value. that there are no non-Christian references to Jesus Christ dating back to the first century. that Christianity had pagan or mythical roots. De pulchri principiis, Prussian royal prize manuscript, first published as Prinzipien des Schönen. De pulchri principiis. Eine Preisschrift (1829), new ed. Douglas Moggach und Winfried Schultze (Berlin: Akademie Verlag, 1996). "Rezension (review): Das Leben Jesu, David Friedrich Strauss," Jahrbücher für wissenschaftliche Kritik, Dec. 1835; May 1836. Kritik der Geschichte der Offenbarung. Die Religion des alten Testaments in der geschichtlichen Entwicklung ihrer Prinzipien dargestellt 2 vol. (Berlin, 1838). Herr Dr. Hengstenberg (Berlin, 1839). “Der christliche Staat und unsere Zeit," Hallische Jahrbücher für deutsche Wissenschaft und Kunst, June 1841. Kritik der Evangelien und Geschichte ihres Ursprungs, 3 vols. (1850–51); 4th vol. Die theologische Erklärung der Evangelien (Berlin, 1852). Das Judenthum in der Fremde. (Berlin, 1863). Christus und die Cäsaren...Transl. German to English by Helmut Brunar and Byron Marchant, Christ and the Caesars... available (Bloomington IN: Xlibris Publishing, 2015). The great bulk of Bauer's writings have still not been translated into English. Only two books by Bauer have been formally translated; a comedic parody, The Trumpet of the Last Judgment Against Hegel the Atheist and Antichrist (1841, trans. Lawrence Stepelevich, 1989), and Christianity Exposed: A Recollection of the 18th Century and a Contribution to the Crisis of the 19th (1843, ed. Paul Trejo, 2002). A third book, Bauer's great, Christ and the Caesars (1877, Charleston House Publishing, 1999) was published informally, perhaps as a software-generated translation under a pseudonym, "Frank E. Schacht." ^ Schweitzer, Albert, The Quest of the Historical Jesus – 1906 – Adam and Charles Black, on p.159, Schweitzer explicitly states, "Bauer's 'Criticism of the Gospel History' is worth a good dozen Lives of Jesus, because his work, as we are only now coming to recognise, after half a century, is the ablest and most complete collection of the difficulties of the Life of Jesus which is anywhere to be found." ^ Bauer citation, report of scandal. ^ Schilling, Klaus. "The Denial of the Historicity of Jesus in Past and Presen". Ego Death and Self-Control Cybernetics. Michael Hoffman. ^ Price, Robert (2009). "Bruno Bauer, Christ and the Caesars, reviewed by Robert M. Price". Retrieved 19 November 2016. ^ Beilby, James K. and Eddy, Paul Rhodes. "The Quest for the Historical Jesus", in James K. Beilby and Paul Rhodes Eddy (eds.). The Historical Jesus: Five Views. Intervarsity, 2009, p. 16. See Strauss, David. "The Life of Jesus Critically Examined, Calvin Blanchard, 1860. ^ Schweitzer, Albert. The Quest of the Historical Jesus. Fortress, 2001; first published 1913, pp. 124–128, 139–141. ^ SCHWEITZER, ALBERT (1910). "Bruno Bauer". THE QUEST OF THE HISTORICAL JESUS A CRITICAL STUDY OF ITS PROGRESS FROM REIMARUS TO WREDE. p. 157. Image of p. 157 at Google Books. ^ Moggach, Douglas. The Philosophy and Politics of Bruno Bauer. Cambridge University Press, 2003, p. 184. *Also see Engels, Frederick. "Bruno Bauer and Early Christianity", Der Sozialdemokrat, May 1882. ^ Voorst, Robert Van (2000). Jesus Outside the New Testament: An Introduction to the Ancient Evidence. Wm. B. Eerdmans Publishing. p. 9. ISBN 978-0-8028-4368-5. Bauer laid down the typical threefold argument that almost all subsequent deniers of the existence of Jesus were to follow (although not in direct dependence upon him). First, he denied the value of the New Testament, especially the Gospels and Paul’s letters, in establishing the existence of Jesus. Second, he argued that the lack of mention of Jesus in non-Christian writings of the first century shows that Jesus did not exist. Neither do the few mentions of Jesus by Roman writers in the early second century establish his existence. Third, he promoted the view that Christianity was syncretistic and mythical at its beginnings. ^ Quote from Sanguinetti '75: In 1841, under the pretext of denouncing Hegel for his atheism, Marx and Bauer wrote and published an anonymous pamphlet [The Trumpet..] in fact directed against the right-wing Hegelians, but which, in its style and tone, seemed to have been written by a right-wing metaphysician. This pamphlet in reality showed all of the menacing revolutionary traits that the Hegelian dialectic had in that epoch, and was thus the first document to establish the death of metaphysics and, consequently, the "destruction of all of the laws of the State." This article incorporates text from a publication now in the public domain: Chisholm, Hugh, ed. (1911). "Bauer, Bruno" . Encyclopædia Britannica. 3 (11th ed.). Cambridge University Press. p. 538. Brazill, W.J., 1970, The Young Hegelians (New Haven: Yale University Press). Eberlein, Hermann-Peter, Bruno Bauer. Vom Marx-Freund zum Antisemiten (Berlin: Karl Dietz-Verlag, 2009). Engels, Friedrich, 1882, "Bruno Bauer und das Urchristentum,” Sozialdemokrat, May 4 and 11. Eßbach, Wolfgang, 1988, Die Junghegelianer. Soziologie einer Intellektuellengruppe (München: Wilhelm Fink Verlag). Katz, Jacob. From prejudice to destruction: anti-Semitism, 1700–1933. Kautsky, Karl, 1908, Der Ursprung des Christentums (Stuttgart: Dietz). Löwith, Karl, 1967, From Hegel to Nietzsche (Garden City: Doubleday). Mah, Harold, 1987, The End of Philosophy and the Origin of Ideology. Karl Marx and the Crisis of the Young Hegelians (Berkeley: Un. of California Press). McLellan, David, 1969, The Young Hegelians and Karl Marx (Toronto: Macmillan). Moggach, Douglas, ed., 2006, The New Hegelians: Politics and Philosophy in the Hegelian School (Cambridge Un. Press). Rosen, Zvi, 1978, Bruno Bauer and Karl Marx (the Hague: Nijhoff). Sass, Hans-Martin, 1967, “Bruno Bauers Idee der Rheinischen Zeitung”, Zeitschrift für Religions- und Geistesgeschichte 19, 221–276. Stepelevich, L.S., ed., 1983, The Young Hegelians, An Anthology (Cambridge Un. Press). Toews, J.E., 1980, Hegelianism. The Path toward Dialectical Humanism (Cambridge Un. Press). Waser, Ruedi, 1994, Autonomie des Selbstbewußtseins. Eine Untersuchung zum Verhältnis von Bruno Bauer und Karl Marx (1835–1843) (Tübingen: Francke Verlag). Moggach, Douglas. "Bruno Bauer". In Zalta, Edward N. Stanford Encyclopedia of Philosophy. Robert M. Price, review, "Bruno Bauer, Christ and the Caesars"
This page was last edited on 5 March 2019, at 23:18 (UTC).